I always wanted to go to Kusatsu Onsen ever since I saw a picture of the famous Yubatake for the first time. But somehow we never found the right timing for it. This March I asked my husband about making a weekend trip for his birthday and because we hadn't been to an onsen for over six months our destination was quickly decided. The only point: we didn’t want to spend so much money for it. Kusatsu Onsen is located in Gunma Prefecture, up in the mountains. There are many ways to get there from the Tokyo area. The easiest might be riding a highway bus for about 4 hours and paying about 3,500 yen for the one way trip. However, my husband isn’t good with long bus rides, so we decided on using the train. The train from Tokyo can become very pricy if you use the limited express train from Ueno to Naganohara-Kusatsuguchi station. From there you have to take a bus to the Kusatsu Onsen bus center. We calculated the journey to be about 6,500 yen one way for each person. There are even Shinkansen connections for a part of the way, but these make it even more expensive. Since we had time, we ended up using local trains. We had to change trains a few times and it took quite a while, but we only paid about 3,500 yen in getting to the station close to Kusatsu, which was fine. 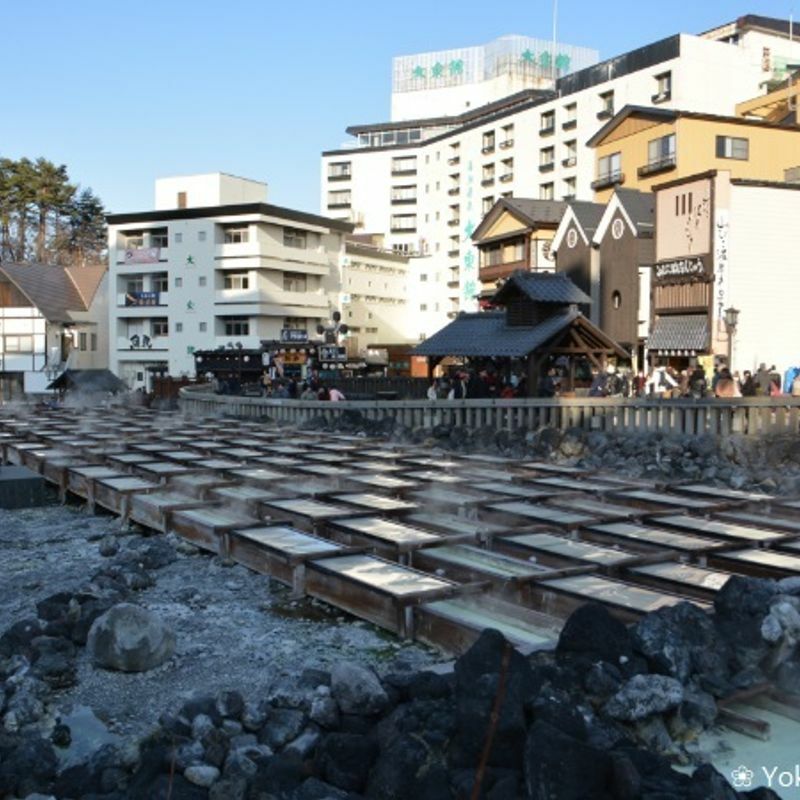 For sure we wanted to see something of Kusatsu Onsen. Seeing the huge Yubatake (湯畑) is free of charge and it looked pretty nice with the hot steam rising up in the cold air. We also wanted to watch the famous Yumomi (湯もみ) which was used to cool down the water back in the day. Now they have six performances a day. Usually the admission is 600 yen, but we could save 50 yen by using an online coupon. Another nice place to visit is the Sainokawara Park (西の河原公園). It is located just a few minutes walk from the Yubatake and has many hot springs. I enjoyed some time warming up my feet in the hot water. There are also outdoor baths you can use for a fee, but if you are reading my articles regularly you know that this is nothing for me. On the way between the park and the Yubatake there is a nice shopping street. We had onsen steamed eggs there. Suddenly one of the shop members started talking to me and I had an onsen manju in one hand and a cup of tea in the other hand. He was quite nice and surprised I could speak Japanese. He asked me how to say delicious in German and was then running around the shop saying “LECKER!” in a loud voice to all the costumers. We later also bought our omiyage there. At night there was a candle light up at the shrine next to the Yubatake. They built Gunma-chan, the prefecture character, with lights and it was a pretty nice atmosphere with some live music on a small stage close by. For sure, an onsen resort like Kusatsu has uncountable hotels and places where you can stay overnight and enjoy the hot springs. Most of these that are located around the tourist area are super pricy. 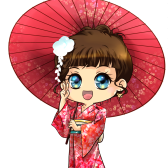 I spent a long time researching on the internet because I wanted to find a reasonable accommodation with private onsen. And I found it. We stayed at Misago Pension, a small familiar hotel with tatami rooms or western style rooms and shared toilet. They have three private onsen which you can use anytime during your stay. The fee for each of us was about 7,500 yen for one night – and breakfast was included, too. I totally enjoyed our visit to Kusatsu Onsen and would directly go back there if it wouldn’t be so far. For me, it is definitely a place in Japan you should at least visit once.